INVITACIÓN ESPECIAL. 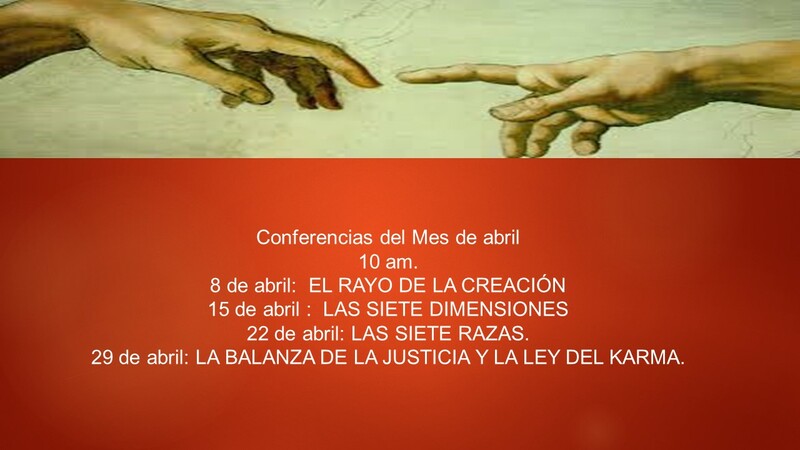 ASISTA A LAS CONFERENCIAS DEL MES DE ABRIL. TODOS LOS DOMINGOS A LAS 9 Y 30 AM. 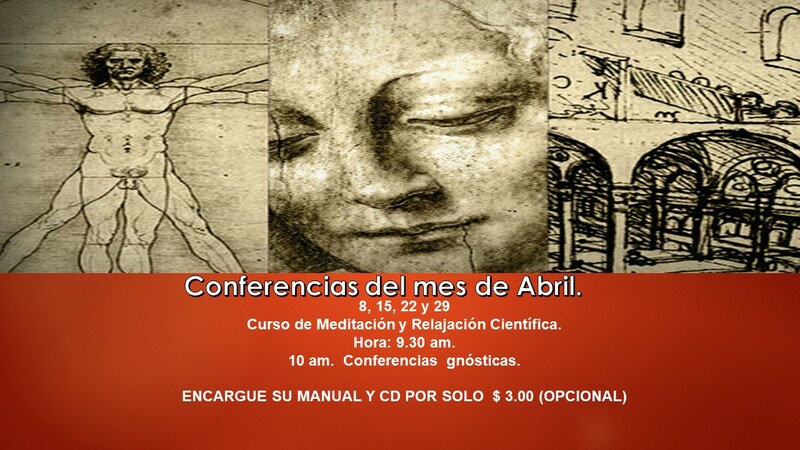 CURSO DE MEDITACIÓN Y RELAJACIÓN CIENTÍFICA. A PARTIR DE LAS 10 AM. 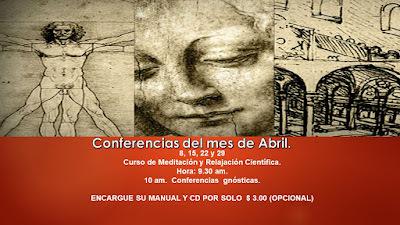 ASISTA A NUESTRAS CONFERENCIAS ESPECIALES.